The spinning reel is currently the most popular reel available on the market today. Being the simplest to learn to cast and or retrieve, they can be used even by starter anglers. 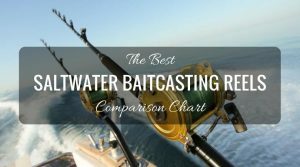 Spinning reels cast far into the waters and with practice, you will be able to attain Casting Spinning Reel better accuracy levels than any other type of reels. Spinning reeling can be used entirely on any type of fishing. 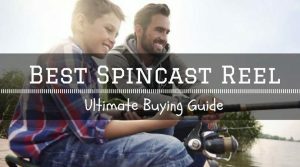 This is the reel to get for your kid who has just started learning how to fish. 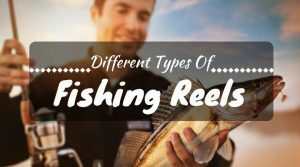 Even though the spinning reels are considered ideal for beginners, even more advanced anglers can use them in their daily fishing activities. To avoid accidents and make the best out of spinning reels, be sure to practice using them say in the park and without their hooks. 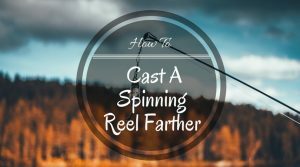 Here we look at the procedure for casting spinning reel. Hold, the spinning reel by sliding the hand you are to use in fishing around the spinning reel seat. Get two of you fingers behind the stem of the reel and another two in front of the stem. 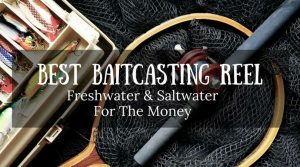 This is to give you a better grip on the reel for casting while at the same time freeing the forefinger ready to trap your fishing line as you start swinging the casting. The second step towards casting spinning reel is to let off some bit of your fishing hand from the rod and extend that hand’s first finger downwards to pick the fishing line. Afterwards, you will need to pull this fishing line against the position the rod is trapped by your finger. With the other hand open, the bail arm and this will make the reel ready to be casted. Remember, this step is very crucial and if you get the sequence wrong then you might end up with a spilled line from the spool which will make the whole process very messy. With the bail arm opened and the fishing line trapped, swing the rod backwards until it is past your shoulders. In a swift and smooth arc, swing it back to the front starting on a slow pace as you gain momentum. The finishing point should be done by drifting the rod straight ahead of you pointing horizontally. 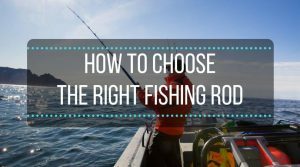 Get the right moment before the rod gets still and straighten the finger that is holding the fishing line and throw the weight forward while at the same time towing the line behind the casting weight. It is important to get the release time right or else you risk throwing the bait to an unknown place if done before or having land on front of you if done a little too late. 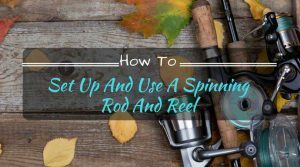 These casting spinning reel tips will work best for light fishing rods that are held by a single hand and which are used in catching bass, bream or trout. However, it does not mean that the same procedure cannot be used for heavier rods that use two hands in holding the rods. Unlike the single hand rods, the double hand rods require both arms in performing vital tasks when out fishing. Which is very popular Spinning Reel over World ? Which is best one to Use and to carry every where ? Please help me and suggest me .